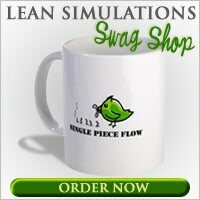 Lean Simulations: Value Stream Mapping Template - An Excel Miracle! Value Stream Mapping Template - An Excel Miracle! Need a value stream mapping template? I guess I could just point you to a blank 11" x 17" sheet of paper again, but that would be silly. 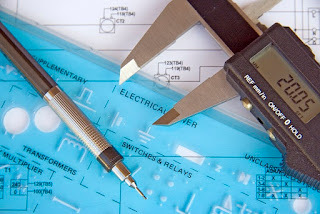 Of course a pencil and paper are the best lean tools! But you wouldn't be searching the Internet for that, would you? I recently found a value stream mapping template on the LEI site (lean.org). I love the disclaimer on their site. Please note, however, that the Institute does not advocate using computer software to map your Value streams. Effective Value Stream Mapping can only be done by personal observation on the workfloor with pencil and paper. Now that you've committed to using a computer, most likely you'll be using Microsoft Excel. Every value stream map is different, so what good is a template? Well, the main thing is, you get all those nice value stream mapping icons to use. Good luck trying to make those on your own with the basic Excel shapes. If you're going to make a value stream map in Excel, then a template with handy icons is a must have. Download this handy VSM template from lean.org here. Click on "read more" to access the template. Since each value stream map is unique, I also think it's handy to learn from what others have done. That's why I created this list of value stream mapping examples. Feel free to browse through it to see other processes conceptualized in their value stream map. What about a MS Visio Value Stream Mapping Template? If excel's not your thing, apparently Microsoft Visio has a built in VSM component. This feature is part of the latest Microsoft Visio Professional. I haven't checked this out myself, so please feel free to correct me if I'm wrong. Visio does seem to be a bit more geared toward a flow chart methodology, but some people only have access to Excel, so you gotta use the tools you have. If you can't find a pencil and sheet of paper, then a computer is the next best thing. Value stream mapping templates will give you a productivity boost if you're struggling to create them electronically. I've added this page to my list of helpful lean tools. If you're new to Value Stream Mapping, check out this overview on how to read a value stream map or this post on what is a value stream. Speaking about tools for value stream mapping you might try to use ConceptDraw PRO. It has specific templates to create value stream maps. I haven't tried that one yet, but it looks pretty cool. Also like the presentation features. Thanks for sharing. Thanks for the info! I have also found a site that shows How to Make a Flowchart in Excel and it is super easy to use! I would recommend it to all! Some great tips there, in case you're not familiar with the flow chart features in Excel. It can be cumbersome. Thanks for sharing the link. It is an Excel based software that creates a drawing in one tab and then calculations are entered in another tab. The software automatically links the results of the calculation tab into the drawing.